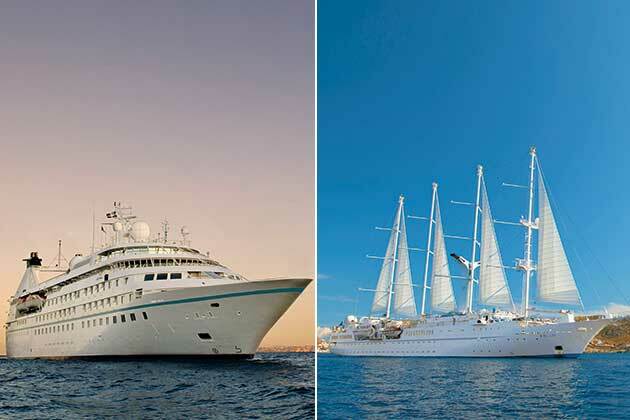 Windstar has always been known for its trio of motorized sailing ships -- Wind Surf, Wind Star and Wind Spirit -- but in 2014 and 2015, the line added three cruising yachts -- Star Breeze, Star Pride and Star Legend -- to its fleet. Though Windstar has refurbished the three yachts to conform to its style and atmosphere, they are physically different from the original sailing ships. If you're trying to choose which ship is right for you, here's how we compare Windstar yachts vs. Windstar sailing ships. 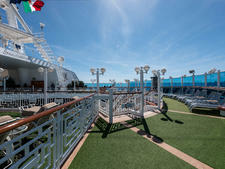 The main similarity among all six ships is that they ascribe to Windstar's philosophy of "casual elegance." 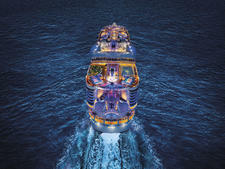 The onboard vibe is relaxed, with no formal nights, and passengers are generally sociable. 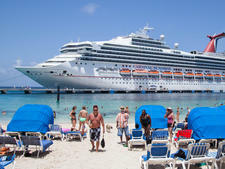 On all ships, passengers are active, well traveled and well educated, often a mix of professionals and retirees. Many have a nautical bent, may own or sail their own boats, and take advantage of the line's open bridge policy to speak with the officers onboard. Entertainment consists of hanging out at the bar, watching the sea or playing in the water, rather than lots of structured activities and song-and-dance shows. You might get a few enrichment lectures or rounds of trivia, but the destination is the main draw on Windstar and the daily schedule of activities will be light. 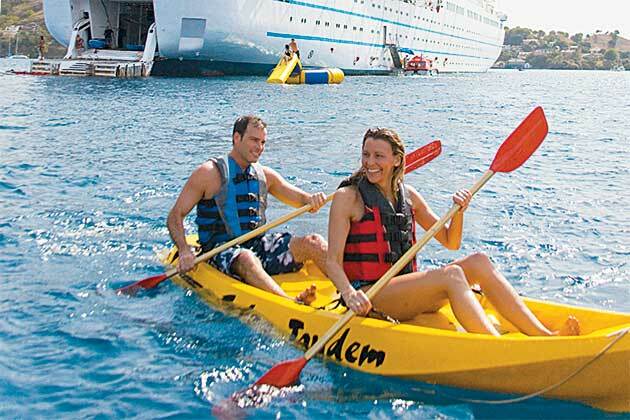 The ships all have small pools and hot tubs, as well as an aft water sports marina where, weather and itinerary depending, passengers can access kayaks, standup paddleboards, pedal boats, floating mats and even waterskiing gear. The main dining venues are the same fleetwide, even if layout and decor vary. All have the Amphora main restaurant, with open seating for dinner; the Veranda buffet for breakfast and lunch, served indoors or outside; and Candles, a more intimate, reservations-required option for a steakhouse dinner under the stars. All ships offer complimentary room service, as well as a spot for continental breakfast and afternoon snacks (either the Pool Bar or the Yacht Club lounge). All of the ships (yachts included) roll with the waves, and you will feel a bit more "motion of the ocean" than you might on a giant cruise ship. Seasick-prone folks should make decisions based on itinerary, though as a general rule of thumb, the larger the ship, the more stable it should be. The main cosmetic difference is that the Wind ships have sails and look like modern sailing ships, while the Star ships resemble small cruise ships. 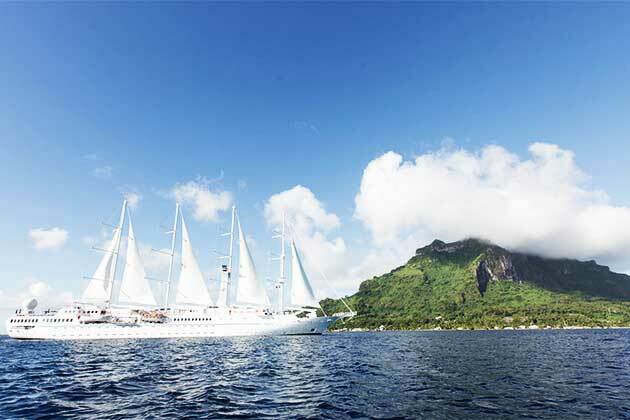 Windstar is known for its sailaway ritual in which the sails rise and unfurl to the dramatic song "Conquest of Paradise" from the film "1492." On the yachts, staffers slowly raise the Windstar flag to the same song, and it's rather a forgettable moment. Passenger counts vary among all six ships. Wind Spirit and Star are smallest, with 148 passengers; the three yachts each carry 212, and Wind Surf is the largest with 312 passengers. The ships are sized accordingly, and that impacts the amount of public space onboard. While every ship has a main lounge, Wind Surf, Star Legend, Star Breeze and Star Breeze have two additional indoor lounges, Compass Rose and the Yacht Club. 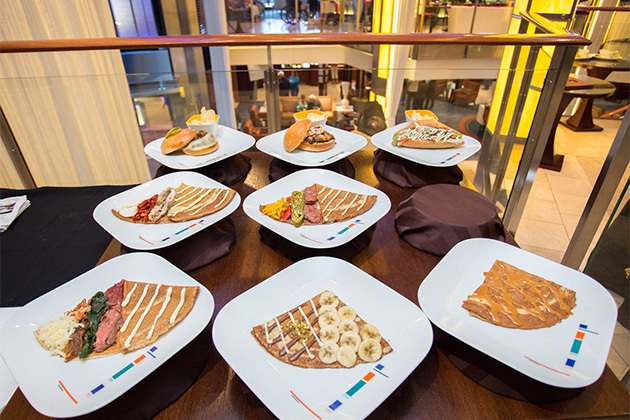 Wind Surf also offers Stella Bistro, a specialty French restaurant with a wine-pairing menu available; no other ship offers this venue. Cabins are quite different on Windstar's yachts versus sailing ships. 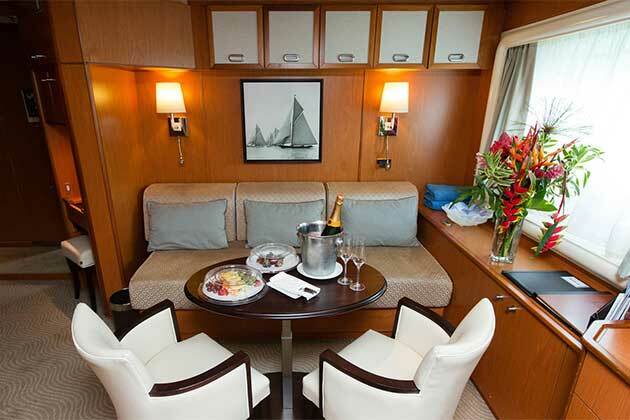 The smallest suites on the yachts are a spacious 277 square feet, with living and sleeping areas separated by a curtain and large marble bathrooms with double sinks and shower-tub combos. Many have French balconies. 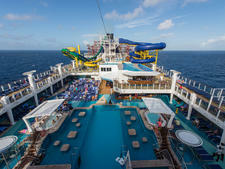 The ships also offer suites, ranging in size from 400 to 575 square feet, with real balconies. In comparison, the smallest staterooms on the sailing ships are 188 square feet with porthole windows. Wind Spirit and Wind Star offer one Owner's Suite each, at 200 square feet, making the largest cabin on those ships smaller than the smallest cabin on the yachts. Wind Surf has a deck full of 376-square-foot suites, which are essentially two standard cabins put together, each with two bathrooms and a sitting area where the second bed should be. The ship also has two 500-square foot Bridge Suites with separate living and dining areas, a huge bathroom and closet, but no balcony. Wind Surf and the three yachts have elevators, but none of the three sailing vessels offer handicapped-accessible cabins. Star Breeze, Legend and Pride do have modified-accessible cabins. However, travelers with mobility issues should consult the cruise line or a travel agent before planning a Windstar cruise on any ship. Some itineraries use tenders and zodiacs to get ashore, with ports not being particularly wheelchair- or walker-friendly. Choose one of the yachts (Star Breeze, Legend or Pride) if you want spacious accommodations or to hang out in your cabin, prefer a choice of indoor lounges, or have mobility issues. Choose one of the sailing ships (Wind Spirit, Star or Surf) if you want the romance of a ship with sails. Wind Surf is ideal if you want the most options for dining and like having a few more people onboard; opt for Wind Spirit or Star if you love the intimacy of a small ship, don't spend much time in your cabin, and are fit and active.